Next Stop: Winnipeg! 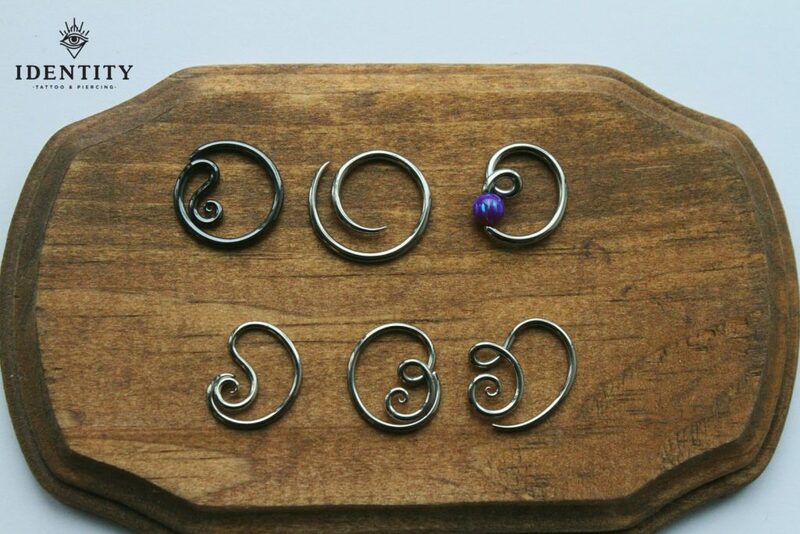 Piercing Sale Starting in Vancouver! Today I head to Winnipeg! I have very limited availability tomorrow, so book in while you can! 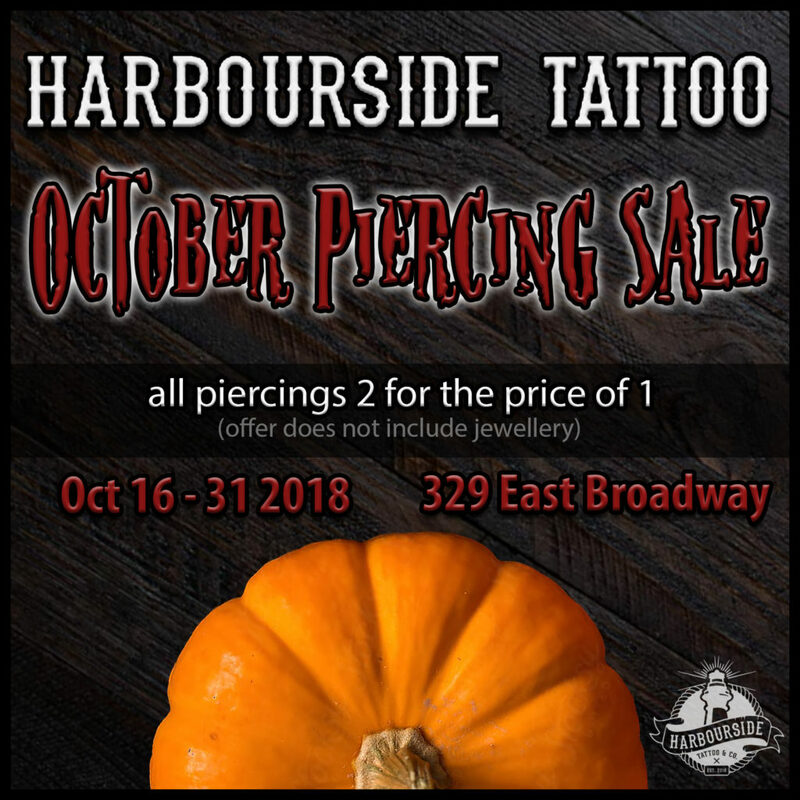 We are firing up another big piercing sale at Harbourside Tattoo & Co starting on Tuesday! Go pay Amber a visit and have her set you up with some new gorgeous piercings and jewellery! 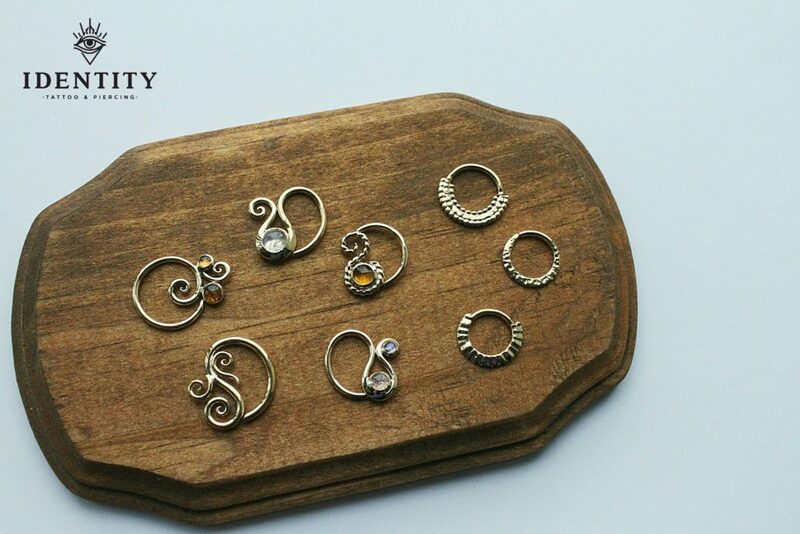 We have lots of new pretties coming in all the time, so get over there and upgrade yourself with the best! Our most recent additions to our fine jewellery collections have come in from Auris Jewellery Saint Petersburg and Tsar jewelry in Russia, as well as Quetzalli in Mexico/LA! 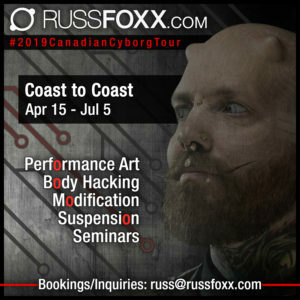 Email russ@russfoxx.com for piercing/modification/suspension bookings and inquiries. Rick and Morty suspension hoodies are disappearing fast! Come see me if you’d like to grab one and save on the shipping! New Gold from Identity – Thunder Bay, ON! I made it back to Thunder Bay, ON! Like clockwork, I picked up some more gold beauties hand-made by my pal Alex at Identity Tattoo and Piercing! Hit me up if you’d like to claim one before they disappear! Oct 11 is final appt day in Barrie with my friends at Pushing Inc. Tattoo Emporium followed by suspensions in the evening with The RISE Suspension Crew! Last Chance to Catch me in Hamilton at Grim City Tattoo Club Oct 10! 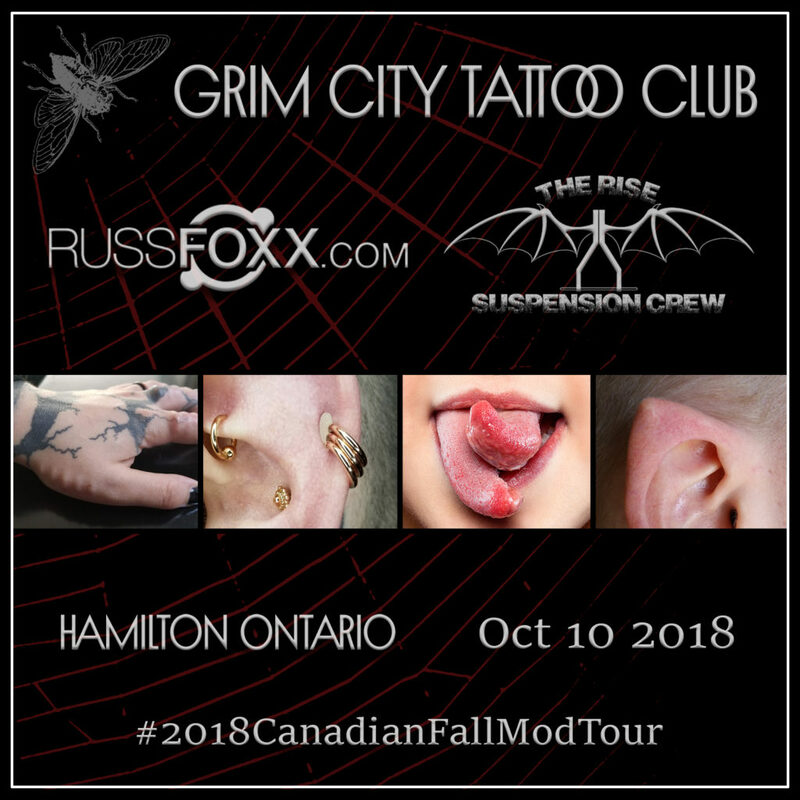 I have added one more Hamilton day to the tour schedule to visit my friends at Grim City Tattoo Club Oct 10! Mods, piercings and high end jewellery by day, suspensions with The RISE Suspension Crew that night! One More Day To Catch Me In Toronto! I have very limited availability in Toronto tomorrow at Cynik Ink Tattoo Studio! Come catch me before I head to Hamilton for the 10th! Last Chance To Catch Me, Ottawa! Last chance to catch me for the year, Ottawa! I have very limited time left available at Free World Tattoo, so contact me quick if you’d like in on it. Next visit will be summer 2019. 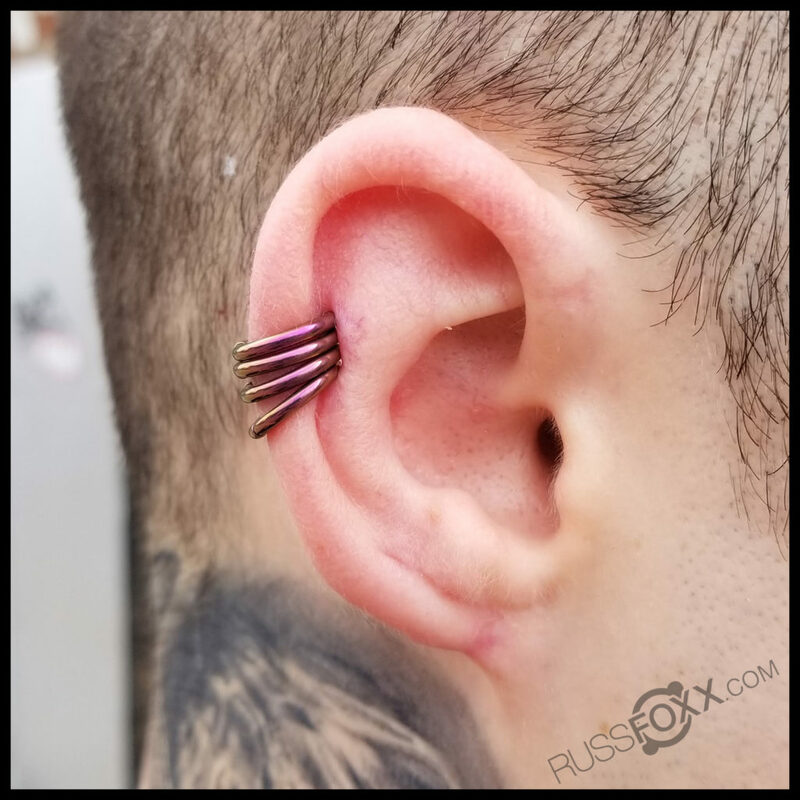 Email russ@russfoxx.com for piercing/modification bookings and inquiries. Here’s Tron’s healed coin slot I just loaded up with some niobium seam rings anodized pink. The slot was done a few months ago. These take about a month to heal before being loaded up with rings. Ottawa Time! Catch Me At Free World Tattoo! It’s finally Ottawa time! I’m available for bookings with my friends at Free World Tattoo for the next 2 days! Remember to ask about a Rick and Morty suspension hoodie when you see me! Limited supply left at discounted tour prices! Today is day 2 visiting my friends at Cynik Ink Tattoo Studio in Toronto! Here’s a little vid of my buddy Tamika showing off her recent split all healed up! Next Stop: Cynik Ink in Toronto! Tomorrow’s destination is Cynik Ink Tattoo Studio in Toronto! Today is day 2 visiting my friends at Grim City Tattoo Club. My remaining time is limited, so book in while you can! 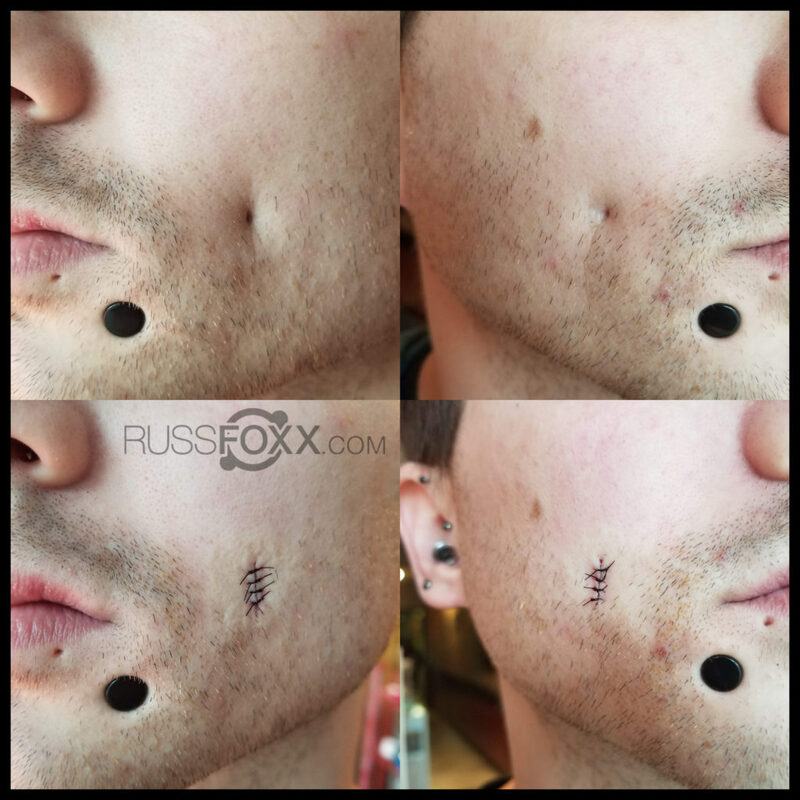 Here’s a set of cheek scars I reduced the other day.